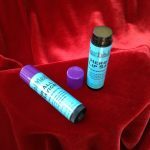 These rich emollient oils & trusted herbs are combined here to protect your precious lips from damage by the harsh elements of winter, dry wind and cold, or the hot summer sun. Our “Soft Lips Sail Ships” lip balms contain organic herbs of Plantain, Calendula, Aloe Vera, and Chamomile infused in organic Hemp Seed, Coconut, and Jojoba oils, with organic Vegetable Glycerin, organic Stevia leaves and organic Beeswax, and Mixed Tocopherols (Vitamin E) from Non-GMO Soy sources, Kosher certified. 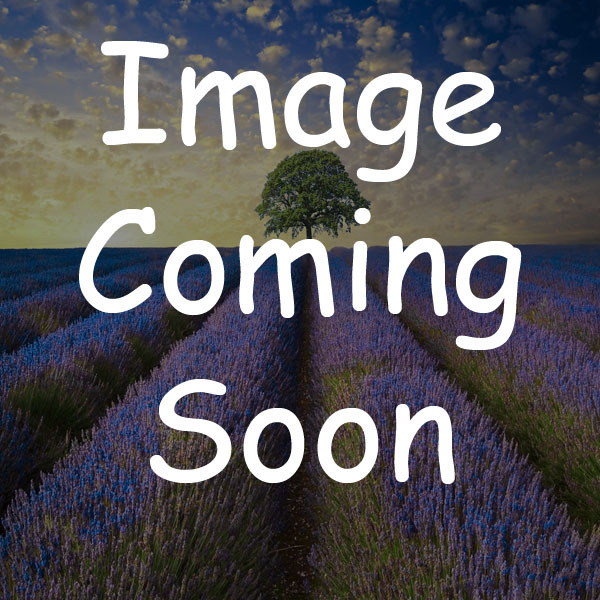 All organic ingredients are from certified organic sources. 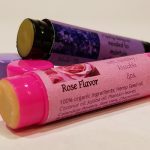 We offer scented/flavored balms with organic pure essential oil of Sweet Orange; or organic pure essential oil of Peppermint; or organic Violet flavor oil, or organic Rose flavored oil! 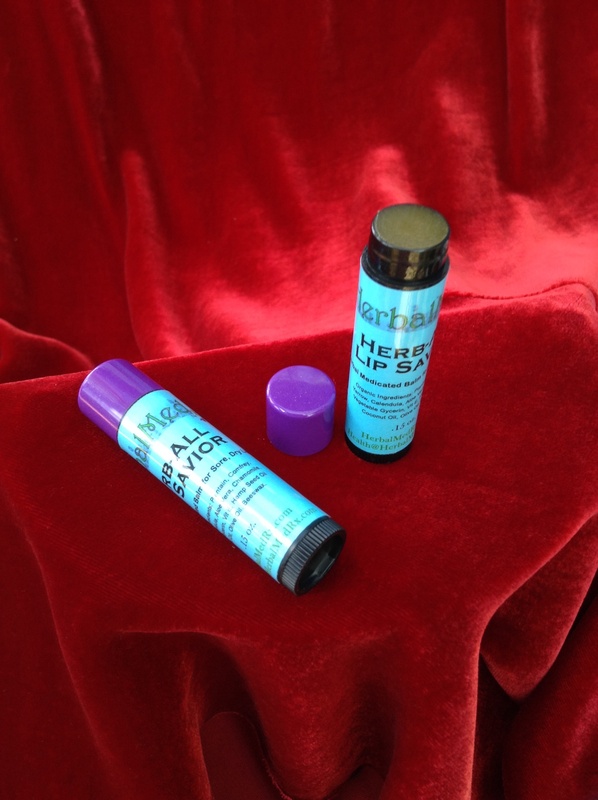 Try our unflavored, unscented Herb-All Lip Savior Lip Balm as well! An all season companion! 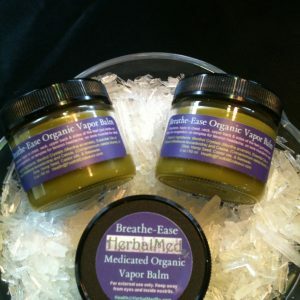 This is one of 5 different organic herbal healing lip balms we offer. You’ll find nothing but the best ingredients in our quality, organic lip balms. So, pucker up! Apply daily as often as needed to maintain soft, healthy, kissable lips. 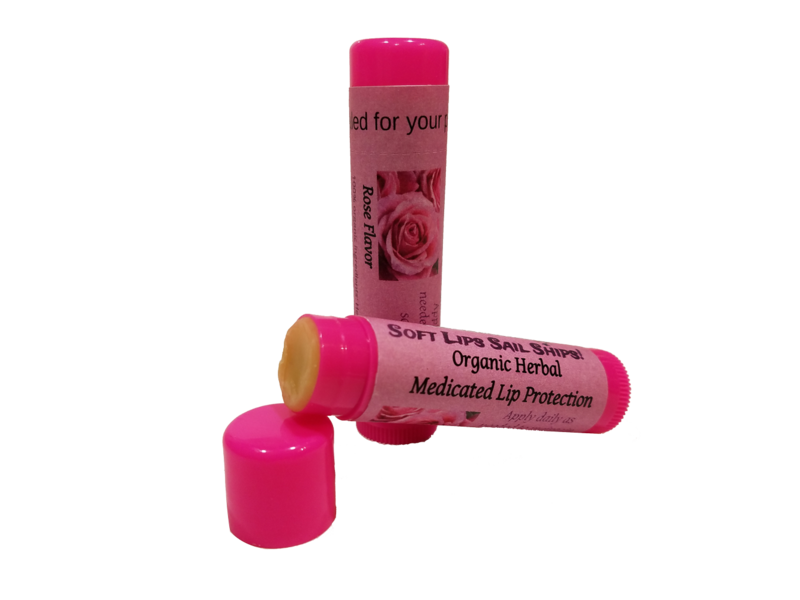 Please also check out our Herb-All Lip Savior, herbal medicated lip balm, which is unscented and unflavored and contains additional healing herbs/oils for sore, damaged lips!